← The Hitchhiker’s Guide to Hitchhikers & the Circus of Flying Seeds! Daoism is a Chinese philosophy whose title could be broken down to mean, “Way of the Way”. 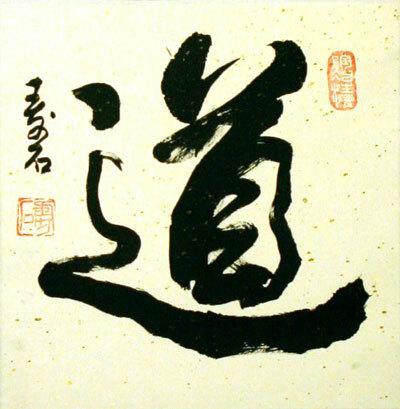 “Tao” is Chinese for road, path, course, or Way (as it is most commonly translated in this context), and “ism” simply means “such a way of doing.” Primitivism, for example, could be taken to mean, “in the way of the primitive.” Likewise, Daoism could easily be explained as meaning, “Way of the Way,” “Course of the Course,” or “Path of the Path.” Unlike practically all intellectual, political, religious, or ideological currents produced since the beginning of history, Daoism in its truest sense does not depend on any ideas whatsoever. This isn’t because Daoists are a bunch of rambling idiots, but because an idea implies a state of consciousness in which one is trying to sort things out, get things right, and arrive at some conclusion. These things are, quite hilariously, of absolutely no use to Daoism. Rather Daoism, as its way of understanding, observes what Lao Tzu referred to as “the uncarved block,” or the course of nature unobstructed by the human intellect. Ram Das quite appropriately observed in Grist for the Mill that while living in civilization we are quite literally living within the human intellect. By usurping the culturally conditioned mind through simplicity, passion, and reverence of natural harmony, Taoists at once seek to liberate the mind back into the stream of nature, and liberate nature by disavowing the authority of the conditioned mind. In the course of nature, always referred to on a cosmic scale by Taoists as Tao, the Way, there is no trace of the discriminatory hallmarks of the human intellect. There is no right or wrong in the hooves of a deer. There is no progress or regression in the eyes of the mountains. And the clouds never fuss over “beginning” or “end.” The eagle is blameless in snatching a jackrabbit, a flower does not fuss over the shape of its roots but works into the dirt where it can, and a tree that scatters seeds lives on in its children and its ancestors without a thought of death. Thus, we arrive at the Chinese tradition of the “Way of the Way,” a deeply passionate spiritual philosophy which really has nothing to say, because the truth transcends the intellectual stranglehold of words. That is, thunderstorms have no praxis or theory, and they do no algebra to justify an arc of lightning. The sun doesn’t go through pains to remain a perfect 360 degrees. It is their absolutely uncontrived nature which makes them immediately inseparable from the entire cosmos, and by reflective analogy it is the civilized reliance on contrivance through the artifice of culture, intellect, and technology, which makes us so separate from it. Lao Tzu wrote in the Tao te Ching, “Those who know do not speak, those who speak do not know.” But by that logic, one might rightfully wonder why is there any tradition of Taoism at all? The Taoists are one of many groups who have tried to covet the unbroken thread which connects a human with the rest of the cosmos, the thread which civilized life tries so desperately to cut and bury beneath layers of ego, fear, and artifice. Some have called this thread, “The web which has no weaver.” Call it Eternity, YHWH, the Atman, call it anything, the whole trick of the thing is to get beyond the trap of words, to liberate ourselves from cultural conditioning to see how things really are. This generally only happens in a time of deep existential crisis, where the fundamental foundations of our indoctrination are shaken by questions like, “What is going on here?” “Why do things have to be so miserable?” and “How do I fit into this mess?” The intrinsic compassion, autonomy, and spirituality of an individual will without fail break the cages of cultural conditioning when such quintessential questions are posed, just as on a macrocosmic scale the earth will not fail to make it clear that the physical infrastructure of civilization is untenable, unsustainable, and, in short, doomed to failure. The first line in the Tao te Ching, the most important text in Taoism, is “The Tao that can be told is not the eternal Tao. The name which can be named is not the eternal name.” To name something, to try to intellectually identify it, is to put a chink in the uncarved block, to put a shoe on the unshod horse, to domesticate the eternal wilderness of the mind. And the entire project of Taoism is to regain and retain the natural wholeness which comes when the pretense and prejudice of the intellect is dropped, thus returning humanity to the natural order. The Taoists were perhaps the earliest harbingers of the many ills of advancing civilization, foreseeing its inevitable pitfalls centuries ago, including climate change and the police state. My intention in the following installments is to provide key texts that ring of anti-civ theory and provide helpful analysis that could further our understanding of the nature of civilization and the wild, and how we might best return the world, for the benefit of all beings, to the timeless Way, the uncarved block. This entry was tagged anti civilization, anti-civ, basic, dao, daoism, derrick jensen, existential crisis, introduction, john zerzan, nature, primitivism, primitivist, spirit, spirituality, tao, taoism. Bookmark the permalink.